With tales of lonely ghosts, cheerful witches, monster friends and creepy vegetables, these Halloween reads help us get in the spooky spirit. Required Halloween reading for Madeline fans. lived twelve ugly monsters in two crooked lines. In this wickedly silly parody of Ludwig Bemelman’s classic story, little Frankenstein loses his head one night. And after visiting him in the laboratory, his little monster friends were incredibly jealous of his brand new neck screws. What happens next, of course, is pure horror. This Halloween pick is a ghostly tale of acceptance and friendship. When little Leo the ghost inadvertently scares the family who moved into his house, he decides to leave everything behind and explore the city. But because no one could see him, Leo feels lonely and left out. Then, somehow, a little girl named Jane sees him. She brings him home, making him her newest "imaginary friend.” The story ends with Jane discovering who Leo really is — and being completely ok with it. “That’s even better,” she says. 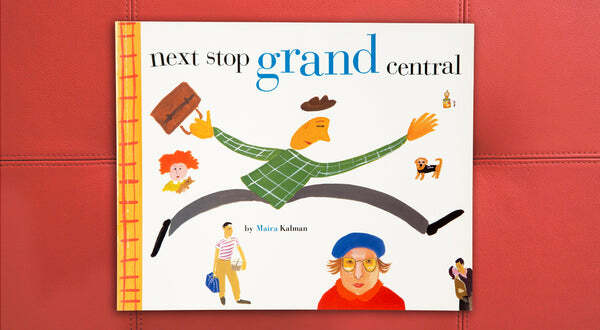 Lots of life lessons in this charming, beautifully illustrated story. One of our favorite Halloween reads, from the folks behind The Gruffalo and Snail and the Whale, tells the story of a cheerful witch and her purring cat who always have room on their broomstick for one more … or do they? When they encounter trouble in the form of a blown away black hat, a lost hair bow and wand, a broken broom and a dragon, their generosity is rewarded by helpful animal friends who steer them clear of danger. The witch thanks them in turn with a comfier ride, offering a subtle lesson in the benefits of working together. Jasper Rabbit loves eating carrots. He can't get enough of them. Until one day, he sees carrots everywhere–and believes "creepy carrots" are following him. Is it his imagination? Is he just paranoid? Spoiler alert: Nope. The clever carrots are scheming to keep him away. Some kids might find evil stalking vegetables a little scary; ours find them silly and exciting. Do you have a Crankenstein at your house? Some days, this otherwise sweet little guy (or girl) inexplicably wakes up as a big grumpy monster. In this book, long lines, a melting popsicle, early bedtime and a rainy day all bring out Crankenstein. Nothing helps, until he meets another even crankier Crankenstein, which somehow makes them both laugh and laugh. Our own little Crankenstein recognizes himself in the story (and he thinks it's hilarious.) And giggles always bring back our sweet little guy. These 14 short, rhyming stories are silly, funky and brilliant–reminiscent of Shel Silverstein's poetry. Fitting for Halloween: "Late October showers bring delicate skeleton flowers. A ghostly sight on Halloween night, they softly glow for hours." If the season of witches, ghosts and goblins has your kids scared of the dark, try this beautifully-illustrated book. Laszlo is afraid of the dark. The dark is not afraid of Laszlo. Laszlo lives in a house. The dark lives in the basement. One night, the dark comes upstairs to Laszlo's room, and asks Laszlo to follow it down to the basement–where Laszlo has never gone. Turns out, the dark isn't as scary as Laszlo thought. In typical Lemony Snicket fashion, a dark tale turns out to be a beautiful lesson. 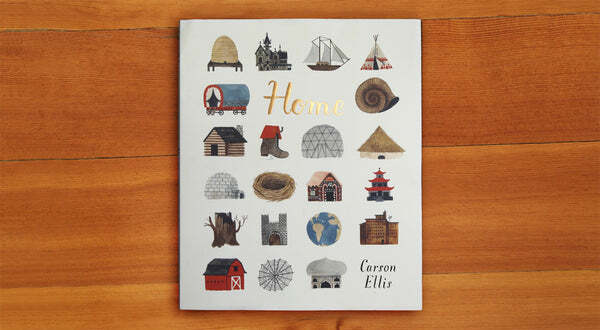 We're drawn to the charming linocut illustrations in this little board book. When a girl moves into a wonderful house at the edge of town, she realizes it's haunted. Which is okay, because she's a witch, and she knows just what to do. It's a sweet story that feels a little old-fashioned, yet completely relevant.